Keep your documents organized and accessible while protecting them from fire, water and theft. 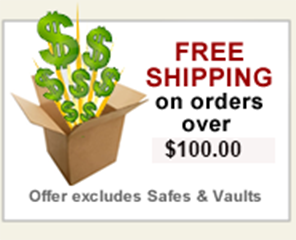 Choose from waterproof and/or fireproof files or chests that can be easily transported. For the office, vertical or horizontal file cabinets offer protection from fire are available in various sizes.